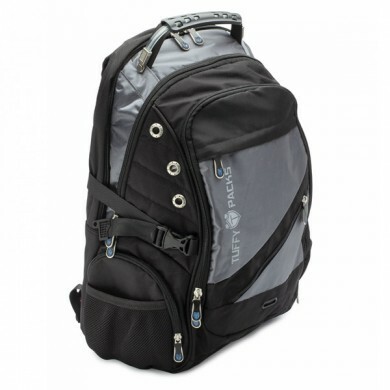 With an air comfort molded back, ultra-padded adjustable shoulder straps and the ability to store up to a 17″ laptop, this backpack combines all the features of your standard media ready backpack with Level IIIA Bulletproof Protection ensuring that you stay safe wherever you go. Measuring 19 inches in height, this bulletproof backpack is ideal for youth, college students, travelers and professionals alike. 24 Layers of Twaron anti-ballistic material are sewn into the center divider of this backpack allowing for the largest possible protection area than removable plates which can differ in size or move around while in use. 19 x 13” of ballistic coverage sewn directly into the backpack center divider.